7 days GM diet plan is something everyone wants to follow for quick weight loss. 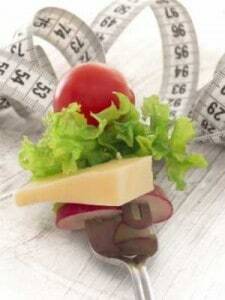 GM Diet is very popular all over the world for the fact that it leads to very fast weight loss. There comes a time in the life of every overweight person, when they are ready to follow any hardship to lose some quick kgs. GM diet is the rescuer. The original diet is full of non veg food items and stuff you would find hard to assemble. Hence we have worked on an easy to follow Indian vegetarian version of 7 days GM diet. Read on for more info. This GM diet was assembled by General motor company for its employees. This is why it is named as General motor diet or GM diet. This 7 days Diet plan has many benefits because of the way it is designed. 1] Quick weight loss – The biggest benefit of GM diet is that it helps in quick weight loss. Most people drop around 3-6 kgs weight in just 1 week. Miraculous isn’t it? 2] Detoxification – Gm diet helps in Flushing off the toxins from your system. It mostly involves eating loads and loads of fruits and vegetables every day. This helps in providing micro nutrients to the body. 3] Rest to gut – The food items prescribed in this diet do not crowd the gut, and hence provide rest to your entire digestive system. This also helps in better elimination of wastes and toxins. 4] 7 day period is so small that you would remain determined and motivated to carry on with the plan. 1] Increased Water intake – While on GM diet, you need to ensure that you consume at least 10 glasses of water every day. Gm diet has a strict diet regime. It may often lead to headaches, malaise, profound sweating and weakness. These side effects can increase in cases of dehydration. Hence maintaining proper hydration will keep you off these side effects. It also helps in better cleansing of the body system. 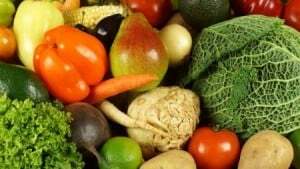 2] Eat variety of vegetables and fruits – The GM diet basically comprises of vegetable and fruits intake. If you are keen on following it for the week, make sure you buy a huge variety of fruits and vegetables beforehand. 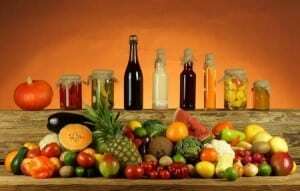 Including different varieties of fruits and vegetables will ensure the availability of all micro nutrients to your body. This will help you sustain the monotony and keep the side effects away. 3] Exercise – Although this diet plan is good for quick weight loss, it is preferable to follow a 45 minutes exercise / walking routine for 7 days. This will ensure that your muscles are toned and you lose weight from the right areas.Learn more about burning fat for weight loss. 1] Avoid Alcohol – Alcohol provides a hell lot of calories, leave apart the toxins it inserts in your system. Gm diet is a very low calorie diet plan. If you intake Alcohol while following this diet, it may lead to hypoglycemia (low blood sugar) episodes. It can cause blackouts , drowsiness and fainting. If you are a Non – vegetarian , check this Indian Non Vegetarian GM Diet Plan for Weight Loss for detailed 7 days gm diet plan for weight loss. All said and done, it’s time now to take a look at the actual Indian vegetarian GM diet plan. On the first day of this plan, you are required to eat only fruits. The quantity of intake is not defined, and hence you can eat till you feel full. 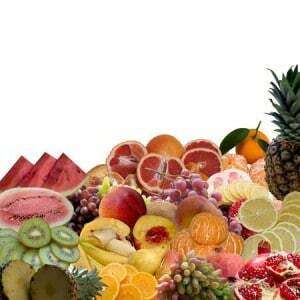 Include a huge variety of fruits. 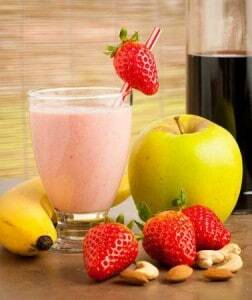 Involve all colours of fruit to get maximum benefits of the antioxidants. Red, yellow and green eat them all. Wherever possible eat fruits with the peel, this will help in increasing your fibre intake. Like in case of apple and pear. This fiber will help you keep away from hunger pangs and will make you feel full. Citrus fruits like pineapple, orange, lemon, sweet lime, strawberries will provide you with a lot of Vitamin C. This will help you in flushing off the wastes and keep a good shine on your face and hair. Eat all melon fruits – Melon fruits are high in water content. They will lead to increased urination, helping you flush the toxins and also water weight. This is specifically helpful in cases of water retention. This is your vegetable day. This function is similar like fruits. The variety ensures that most micro nutrients are provided to the body. You can boil them, steam them, have it raw or make a soup out of it. You can have 1 cup of baked or boiled potato too. Have the boiled / baked potato for breakfast. This will ensure a good and energetic start to your day. If you don’t like only potatoes, you can try this apple and potato salad . Use spices to make you boiled / steamed vegetables taste good. No point eating them bland and then losing your motivation to move ahead. Squeezing lemon on your veggies will not only add taste but also provide Vitamin C to assure that glowing face. If you are fond of salads, here is a good recipe. The third day is a blend of the first 2 days. On this day you can have all the veggies and fruits you ate on the previous days. You need to avoid potatoes and bananas on this day. My Take – Yes monotony is boring. My advice is if you really want to enjoy this week while you lose weight, try your hands at variety of recipes instead of sticking to a lone fruit or steamed veggie. Yes there are a lot of tasty possibilities with this combination. This is a high potassium and high carbs day. This will help in replenishing your energy stores. You are allowed to eat up to 8 bananas and 4 glasses of milk on this day. you can spend the rest of the time eating fruits and vegetables or even vegetable soup (no cream). My Take – The Smoothie day, as i call it is a blessing in disguise, after the 3 days of munching on veggies and fruits, your taste buds would love the change. Just blend a smoothie out of 2 bananas and a glass of milk. In a small personal experiment, I changed the bananas to mangoes (total 4 .no) and I saw the same effect. Mangoes are equally high in potassium and carbs. Plus the combination is irresistible for me. You can try it too. This made me recharge my motivation to finish up the pending days. Recipe for simple, low calorie vegetable soup. (Fast to cook too). This is the protein day. You need to include paneer , curd , soy milk, soya chunks along with 6 tomatoes. The original GM diet needs you to eat 10 oz of beef, which provides around 60 – 70 gms of protein. To meet this, you need to eat either 500 Gms of paneer or you can also have 250 Gms of paneer + 20 gms of soya chunks + 150 ml curd. 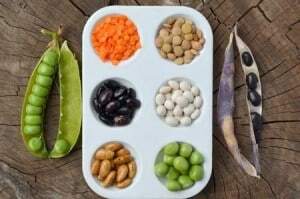 If you have any confusion regarding what food to choose for this day , check the protein table under day 5 of our Indian Non Vegetarian GM Diet Plan for Weight Loss. My Take – I observed a good drop of weight on this day. I don’t like eating plain paneer , I mean it is bland and i doubt if anyone really could eat it plain. So I suggest you to grate some carrots and lots of chopped Bell pepper (very good for weight loss), onion and tomatoes. Make paneer bhurji (something like scrambled egg) out of it in 1 tsp olive oil. i used a lot of spices like cardamom, cinnamon, cloves for taste. If you like soups, you can make a vegetable soup and add small paneer cubes to it along with some chopped veggies on top. If you are an eggitarian, you could replace paneer with egg whites. Some websites suggest eating Brown rice on this day. i found it irrelevant. Brown rice is not protein for sure. 6 tomatoes can be easily used in diets or as a juice along with other veggies. This day is more or less like your day 5. You can incorporate the similar food stuff in an increased quantity if needed. On the last day, you can continue to eat the vegetables and fruits of your choice (avoid the high carbs ones) along with a cup of brown rice at lunch. If you have done it all, at the end of the week you would find yourself weighing lighter than before. I observed that every time i fought hunger while following the plan, I was full of demotivation and wanted to give up instantly. But i tried to control that emotion by telling myself that GM diet is about restricting food groups on particular days and not about remaining hungry. So I went on to eat what was allowed till I felt my stomach was full. This at least helped me in finishing what I started. Note – I may have modified the GM diet plan a bit here and there in the best nutritional interest of the readers. You can buy a detailed 7 days Indian Vegetarian version of GM Diet Plan . This GM diet is planned on the same principal mentioned above in the article . It has the detailed recipes. Simple to make and easily available ingredients . Now you dont need to spend your week eating only sliced cucumber and tomatoes in the name of salads. Read More about the book . How to maintain the lost weight after GM diet . Review on Gm diet plan for weight loss. I have completed my 4th day of Gm diet and out of curiosity checked out my weight and i am really depressed on looking into result( I.e I lost just 1.2Kgs). I have seen some where in online that only on first 4 days we would loose more weight than remaining days.Looking for your suggestion on this. yes that is some how true in reality . what is your weight and height ? I heard that we can have soup on any day for any meal during GM diet days. Is that ok to have soup in between the meals? yes absolutely … just avoid soup on day 1 which is supposed to be the fruits day . Hello Payal, I am trying hard to loose fat around my belly post delivery(its more than an year). Although my body weight is back to pre-pregnancy weight(61 kg, 154 cm) the abs area looks ugly. It didn’t shrinked in. Seeing some of your responses to people on diet suggestion, I appreciated your diet plans and hold on subject. Do you have some food/diet plan for me? Thank you! yes you can use millet rice. and use the rock salt ( sendha namak / fasting salt ) . 7 days ke liye non iodized salt will not make much difference . it is ok . I follow your blog a lot and let me tell you its very useful. She mentioned it does not have sugar and fructose is very minimum. please let me know if its going to disturb my loss whatever I achieved. Im a 24 years old. My height is about 5’7 and weight is 58kgs approx… mainly got belly fat and chubby arms and face… these are the main areas i want to lose weight in… would this diet plan of yours help me?? And how fast will i lose the belly fat?? Also how many times a month can i follow this diet?? Hello, Im Swetha, 22 yrs old n 5′ 4″ weighing 62.5. I want to reduce to 52 in 2 month. Cn i use dis diet once a month or shud i increase it more? If you are free from diabetes , you can definitely follow the diet plan as mentioned . this will help you in acheiving your target weight in the given duration . If you face any issues while following the diet plan , please comment here and we will be happy to help . In diet plan nothing mentioned about nuts. Is it ok to eat nuts? Nuts are not allowed while on GM diet . hence there is no mention about it. however , you can consume a tsp or 2 of nuts on the 5 th day , which happens to be the protein day. Hi Payal, For day 4 can we replace milk with curd? yes , take glasses milk on the previous day and form curd from it , then on the 4th day , use this curd . I am 27 year old my weight is 61 and do the workout almost daily I loose inches but my weight is constant. From today I have started GM diet and I have some questions Can I have normal tea during this diet? Can have Tank during my workout? Please reply. basically tea is not allowed in the Gm diet plan , But if you are following my version , you can take 1 cup of tea 1 time a day , or 1/2 cups 2 time a day . this is better without sugar . you can use a sweetner instead. tang has a lot of sugar , it is better avoided . hi , whether salt can be added during all 7 days. Hi Ravi , dont use the regular salt , yoiu can use any pottassium based salt like pink salt , black salt , or sendha namak . Can we have white kabuli chana on day 2. No yaa , day 2 is only veggies , nothing else is allowed . I would like to congratulate you for this awesome post on diet plan for weight loss. Really inspiring post! I had a doubt since few days while following the GM diet can I take my isolate protein shake post workout? Which has only protein of 27grms no carbs nothing. Thank you for reading at Dietburrp. you can take the protein shakes from 5 day to 7 th day . but not on the first 4 days . Hi, I am a diabetic and high cholesterol. I am interested in doing this GM vegetarian diet. Please advise if it is okay for me to follow the GM diet. cholesterol is no issues , rather GM will help you in reducing Cholesterol . but because you are a diabetic , you need to keep a close watch on your sugar levels . check every day . then you can follow this diet. if your sugar levels are beyond 300mg/ dl , then this diet should be avoided. Sugar level is below 300 mg/dl. Could you please send me the link or diet plan to follow (diabetes vegetarian friendly plan). Thank you. I am on GM diet 4.for 5th day we can have chapati or other alternatives or for brown rice we can have any curry. nope. its a protein day , all the mentioned items are carbs. My baby is 14 month old..
Just one query… Can I add little salt on fruit to make them tasty…. add rock salt , not the regular cooking salt. Hello Payal mam, i am 31yrs, my weight is 85 kg and my hight is 5.3, I am suffering with PCOD and Thyroid, can u please guide for proper diet n exercise. Iam on the 4th day of the GM diet. Can I have the large kerala banana for this day? yes you can 🙂 all the best ! Hi, I am a Jain and can you please suggest an alternative to potatoes on Day 3? Thank you very much. You can have 1 katori cooked rice in form of pulav . 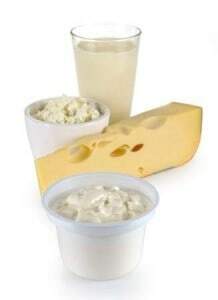 On day 5, can i consume 500gms of curd or 250gms each of curd and paneer for the protein intake? Also, can i use honey to sweeten the milk? And also on the fruits? for protein , you can calculate based on the protein table mentioned in day 5 . avoid honey. yes yoy can add 2 small phulka , fatless. your articles are too good and full of doubt clarifying points. my height is 5’2 and 72 kg and I am 23 years old so can you suggest me what would be the best for me to lose weight. This is Priya.. I like to know a it good to have chappathi instead of brown rice.. if yes,how many chappathi should I take ? yes you can have 2 small phulka , fatless.